The key to a revocable living trust working as expected is to make sure that it is completely funded with the Trustmaker's assets before the Trustmaker dies. If anything of even limited value is left out of the trust and remains in the Trustmaker's individual name, including as a tenant in common, at the time of the Trustmaker's death, then a probate administration may be required. The only way to ensure that probate of the Trustmaker's estate will be avoided is for the Trustmaker to fully fund the revocable living trust and update all beneficiary designations before the Trustmaker dies. If your loved one's revocable living trust contains AB or ABC trust planning, then when the first spouse dies the successor trustee and surviving spouse will need to meet with an estates and trust attorney to ensure that the A, B, and/or C trusts are properly funded and any necessary estate tax returns at the federal and/or state level are prepared and filed. (Note: Even if no tax will be due, a return may need to be prepared and filed anyway in order to make certain tax elections.) Then, when the surviving spouse later dies, the successor trustee will need to meet with an estate and trust attorney to unravel the A, B, and/or C trusts as well as settle the surviving spouse's final affairs and revocable living trust. If the beneficiaries will receive their inheritance outright and no other specific issues need to be addressed by an estates and trust attorney, such as paying estate taxes, obtaining tax releases, dealing with the Trustmaker's debt, or deciding what to do with retirement accounts, then the successor trustee and beneficiaries may be able to work together to settle the trust without the assistance of an attorney. If, however, one or more of the beneficiaries will receive their inheritance in trust, then the successor trustee will need to work with an estates and trust attorney to ​ensure that each beneficiary's trust is properly funded as well as to discuss trust income tax returns and how each trust should be handled on a day-to-day basis. If the Trustmaker lived in, and/or owned real estate in, one of the multiple jurisdictions that collect state estate taxes or in one of the seven state that collects state inheritance taxes, then before the trust assets can be distributed to the beneficiaries the successor trustee will need to work with an estates and trust attorney to ensure that all necessary estate and/or inheritance tax returns are filed and all taxes due are paid. Otherwise, if ​the successor trustee makes distributions to the beneficiaries before the taxes are paid in full, then the successor trustee could be stuck with paying the taxes out of his or her own personal assets. If the Trustmaker owned a business and made an exit plan for what happens to the business after the Trustmaker dies, then the successor trustee will need to work with an estate and trust attorney to implement the exit plan. If on the other hand the Trustmaker owned a business but didn't make an exit plan, then the successor trustee will need to meet with an estate and trust attorney to deal with the legal aspects of continuing, selling, or shutting down the Trustmaker's business. Even a carefully planned and fully funded revocable living trust can't overcome deep-seated family discord. If the beneficiaries of a revocable living trust don't agree with how the successor trustee is handling the distribution of the trust assets, then the successor trustee will need to hire an estates and trust attorney to assist with settling the beneficiaries' disputes. 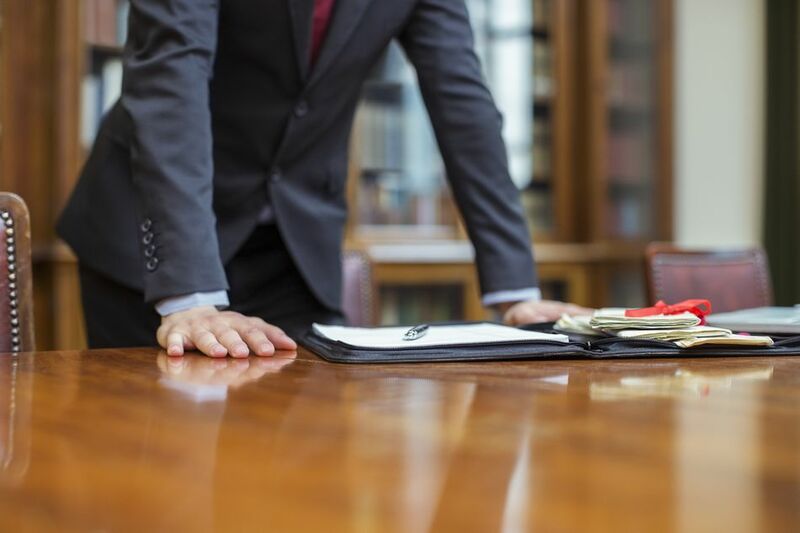 In addition, the trust beneficiaries may need to hire their own attorney(s) to ensure that their interests in the trust administration are being represented and properly protected. If one or more trusts for the benefit of the Trustmaker's surviving spouse or other beneficiaries are named as the primary beneficiary(ies) of a retirement account, such as the Trustmaker's IRA or 401(k), then the successor trustee will need the assistance of an estates and trust attorney to ensure that the assets held by the IRA or 401(k) are properly handled with regard to funding them into the applicable trust(s) and how to handle required minimum distributions and minimize any estate tax and income tax consequences. Even if a trust isn't named as the primary beneficiary of an IRA or 401(k) account, the beneficiaries may still need the assistance of an estate and trust attorney to ensure that the retirement assets are properly handled with regard to required minimum distributions and estate and income tax consequences. What should you do? Don't be lulled into thinking that your loved one's revocable living trust will only take a few days or weeks to settle after your loved one has died. Hopefully, your loved one has done everything in his or her power to ensure that their trust will function properly after their death so that the trust can be settled with relative ease and outside of the public spectacle and scrutiny of a probate court.